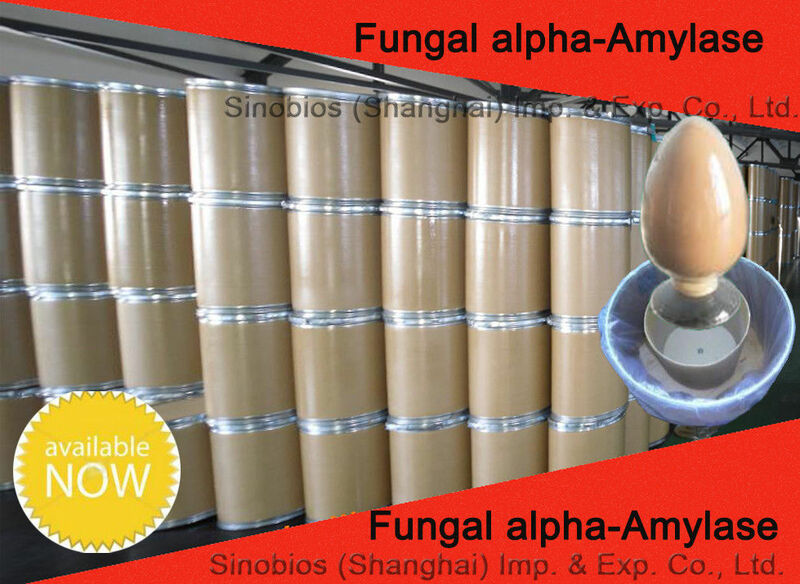 SINOzym-FAA100FE is a powder-type concentrated fungal alpha-amylase produced by submerged fermentation. It can catalyze the hydrolysis of alpha – 1, 4 – glycosidic linkages of starch polysaccharides to yield dextrin, oligosaccharides, maltose and D – glucose. 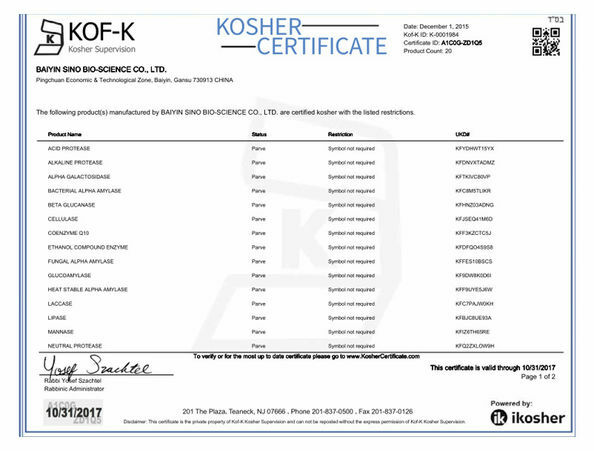 It is widely used in brewery and manufacture of alcohol, food processing, feed additives, leather processing, etc. 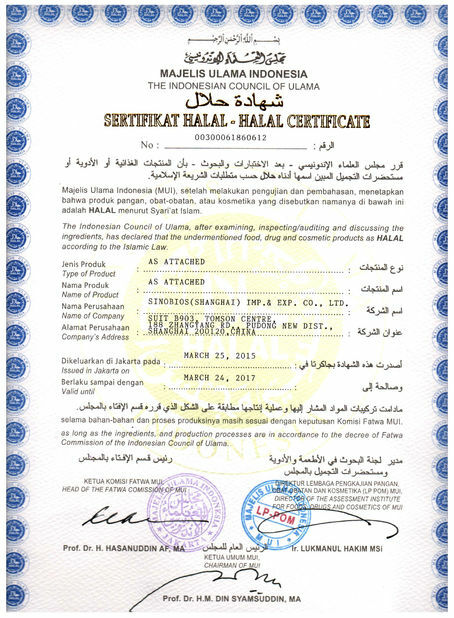 Grade standard: Feed Grade (QB2526-2001). Temperature range 20-60°C, optimum 45-60 °C. 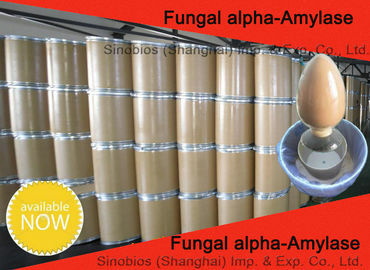 One fungal alpha-amylase unit is defined as the amount of enzyme which liquefies 1g of soluble starch per hour, at 40℃ and pH 5.0 under the condition of test. -- Improve the utilization of energy, lower feed conversion ratio and improve animal production performance. Recommend 10-20g/MT of complete feed (use 100,000u/g). 20/25kg net /bag or drum. Or package as per requirement. Store in the dry, ventilation and shaded place, avoid high temperature and humidity. Stable for 12 months, in original unopened package, under ordinary temperature.